GVEC is currently in the process of upgrading electric meters with our customers. The meters we are deploying are similar to the advanced digital meters we have been utilizing since 2002, however they give us additional capabilities to strengthen reliability and services for our membership. Since we’ve never met anyone who said they didn’t want the most reliable service and accurate information they can get on their usage, we think you’ll be pleased to read more about the project, technology, and the positive impact to Cooperative operations and your service. Feel free to contact us with questions any time at 800.223.4832 or info@gvec.org. Q: When and why is GVEC upgrading their meters? Last Gasp Alerts – When your power is out, two-way communication will provide us more detailed information about individual outages. Near Real-Time Data Collection – Gives us the ability to read usage data more quickly and translate that into our Smart Hub payment and energy usage monitoring app faster than ever before. Increased Reliability & Efficiencies – Helps us maintain the electric system and troubleshoot issues more efficiently, translating into less time out of power. The upgrade will take place in different areas monthly. It is expected to take approximately four years to reach the over 80,000 meters served by the Cooperative. Members are being notified prior to the upgrade through a postcard mailing. This project is part of our ongoing efforts to continually strengthen our electric infrastructure and capabilities to serve you. Q: Am I getting a Smart Meter? GVEC has used advanced metering since 2002, which is essentially smart meter technology. 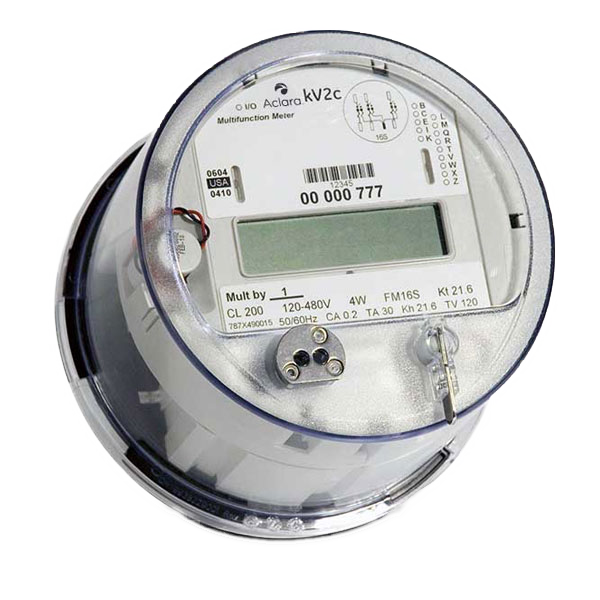 Used by many types of utilities including water, gas, and electric, these two-way communication meters allow us to remotely read usage data and maintain equipment efficiently. The upgraded meters use low emissions Radio Frequency (RF) technology to communicate data. GVEC uses only meters with signals that are well below the strict safety guidelines set by the Federal Communications Commission. Radio frequency levels from our advanced meters are less than common household technologies such as a microwave oven, cell phone, or Wi-Fi router signals emitted in and around homes and businesses every day. We use the technology only to obtain usage readings, maintain, and troubleshoot the meters remotely. Data is stored for billing purposes and accessibility by the account owner through our free SmartHub payment and usage monitoring app. Readings obtained from meters tell us only the amount of electricity being used at various time intervals. The meter does not transmit any data about where the use is coming from. There are three advanced meters that will be in use. The type of meter you will get depends on the type of service you have from GVEC. 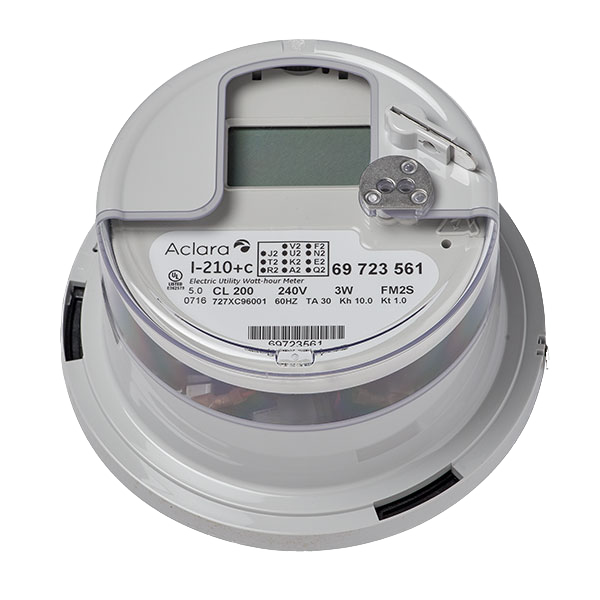 Single phase customers, including residential homes, will receive the Aclara I-210 model. 3-Phase customers, primarily including small – large commercial and industrial businesses, will receive the Aclara KV2c model. Smart Meters are just one of many Smart Grid components. Q: What is the Smart Grid? The terminology, “Smart Grid,” refers to the advanced technology associated with our nation’s electric power grid. This technology, which relies on various channels of communication (wireless, fiber, power line, etc. ), advanced sensors and computers, ensures the electric system works efficiently and lessens outage times nationwide. The U.S. adopted Smart Grid policy with passage of the Energy Independence and Security Act of 2007 (Title 13). Q: Does GVEC estimate bills with Smart Meters? Overall, GVEC does not estimate readings for billing purposes and our smart meters make that possible. We use a starting read and ending read only to calculate monthly bills. We do collect hourly reads for placement into the SmartHub payment and usage monitoring app, but those interval reads are not used for billing purposes. The only exception to this rule is if no meter reading exists for a starting or ending read, signifying a meter has completely stopped working. In that case, we will make an educated estimate based on the account use history and take the necessary steps to correct or replace the meter. These cases are minimal compared to total number of meters we serve monthly.